Photos by Ben Matheson / KYUK. Citizens in Bethel are weighing a decision on a proposal for the for the first liquor store in decades. In the shadow of the debate is a powerful and elaborate bootlegging economy across the Yukon-Kuskokwim Delta. The region’s three Western Alaska Alcohol and Narcotics Taskforce investigators can’t be everywhere at once. Some villages are trying to fill in gaps where bootlegged alcohol reaches dry option communities. 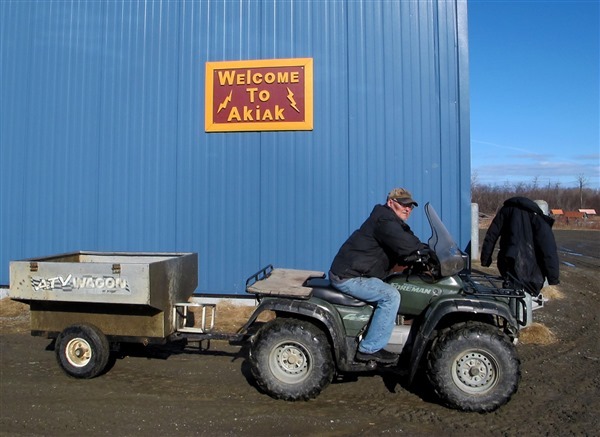 In the second of a three-part series on the law enforcements efforts to stem the flow of alcohol to the region KYUK’s Ben Matheson reports on Akiak’s tribal approach. 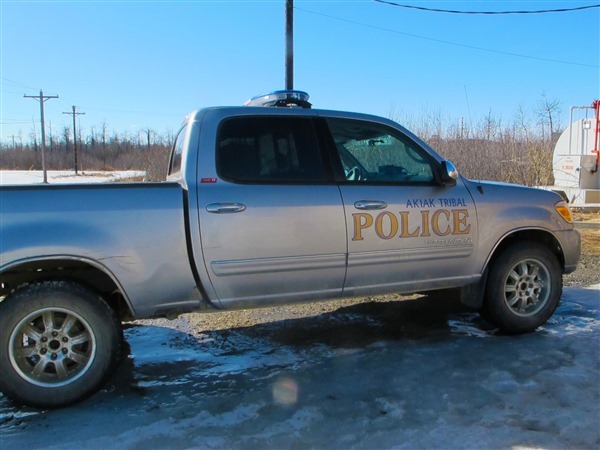 On a bright spring day overlooking the frozen Kuskokwim River, Akiak Tribal Policeman Ryan Jackson explains how this low-tech checkpoints work. It’s intended to stop alcohol at the doorstep to the community, and it’s basically Jackson, a 4-wheeler, and a badge. “I just hold it up and say ‘Stop, this is a checkpoint,” said Jackson. 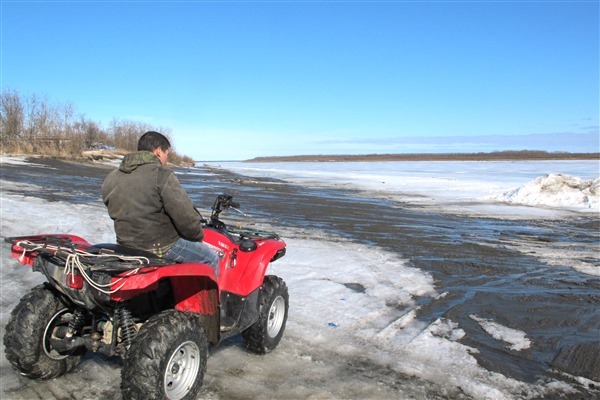 For the past two winters, the village has set up a checkpoint where snow machines and trucks come in off the Kuskokwim River. Jackson and others make sure to have coverage for big traffic days like basketball tournaments and dog races, as well as paydays from local employers. 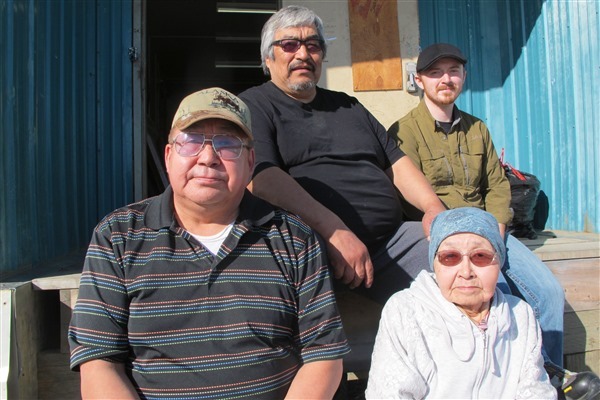 When the community is flush with cash, that’s when they know people will make the trip to Bethel, coming back with alcohol, which fetches 80 dollars a bottle in Akiak. Jackson says his methods change depending on the weather and trail conditions. “You chase after them,” said Jackson. Leaders say they’ve seized 500 bottles coming into Akiak this past winter. 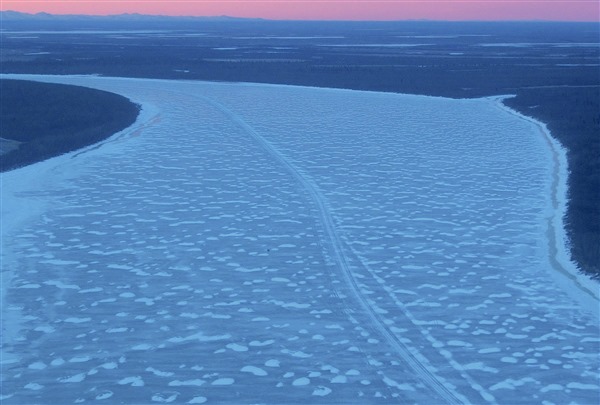 An agreement with tribes in nearby Akiachak, Tuluksak, and Kwethluk allows for similar efforts. 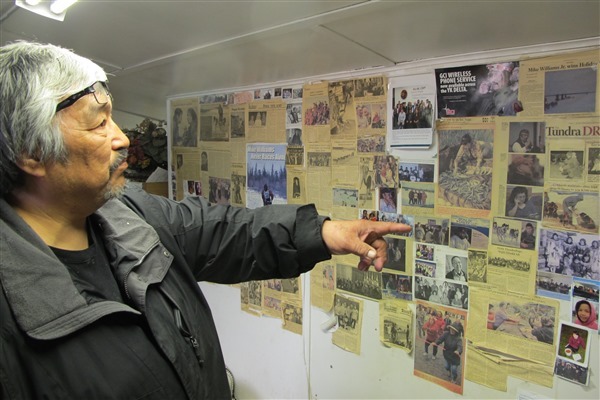 Mike Williams, a tribal advocate, alcohol counselor, and Iditarod dog musher says the matter is extremely personal to him–he’s lost all six of his brothers to alcohol. “It’s a small community. We know who (the bootleggers) are. When a person brings in the booze from the next village, with today’s technology of instant communication, with texting and everything, we know who’s dealing,” said Williams. 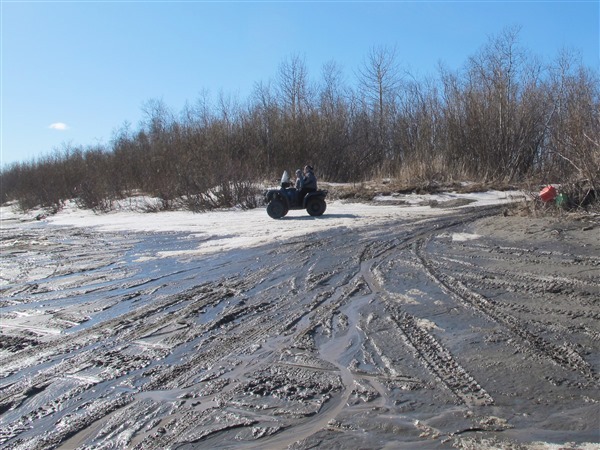 Tragedy was evident this winter when three Akiak people who had been drinking drove their 4-wheeler through a storm into an open hole on the Kuskokwim and drowned. Surrounded by millions of acres of tundra, back trails, and side sloughs, Akiak’s not going to catch every last bottle. Williams says bootleggers know that as well as anyone. For Williams, taking an aggressive stance in the village is part of a broad push to regain local tribal control after legislation fractured jurisdiction. Williams says it has prevented tribes from having meaningful power at home. “We’ve lost so much control over the long years but we need to have that control back and take our lives back,” said Williams. 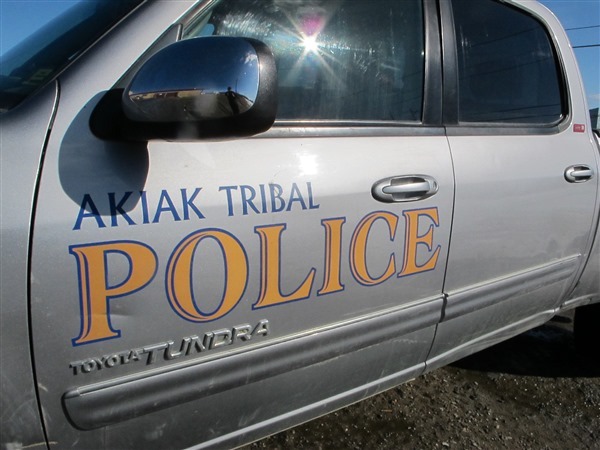 While they are willing to share information with state troopers, Akiak takes a distinctly tribal approach to follow up with those caught bootlegging. They’re brought in front of tribal court judges, like 72-year-old Elizabeth Lake. “It’s good to talk. (We) have someone to talk to them in the village, instead of having troopers come around,” said Lake. Lake says people caught running alcohol may face fines or community service, but keeping them out of jail and closer to home helps in the long run. Jackson Williams is another tribal court judge. 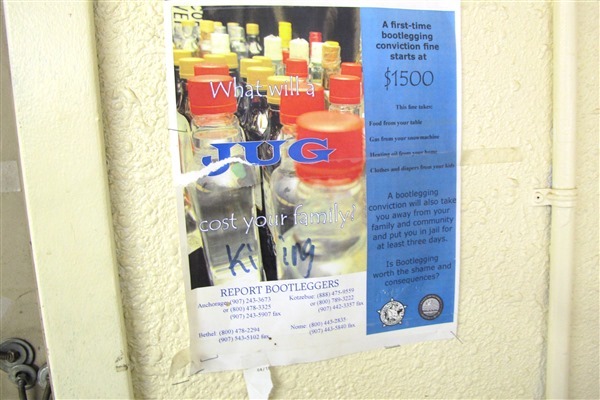 “We’re the community that wants to really go after people that bootleg to bring in booze to sell. We take care of it our way,” said Williams. And that way raises privacy concerns regarding checkpoints. But Williams takes a broader perspective. “When we first started, people were saying what about my civil rights, what about my rights as an individual? And we say-what about the rights of our children, the rights of our women, the rights of people to have a healthy community? What about the rights of people who are not using being effected? What about their rights?,” said Williams. State law enforcement doesn’t get involved in the checking. Investigator Todd Moehring from the state’s Western Alaska Alcohol and Narcotics Team says the checkpoint is strictly a tribal initiative. “I applaud their efforts. They’re doing a great job trying to take an active role in combating bootlegging, which has been really good. It has cut down on the calls we’ve gotten, they’ve been stepping it up, trying to process things tribally,” said Moehring. Chance Cunningham, worked as a Village Public Safety Officer in Akiak for two years. VPSO’s are not employed by the tribe. He says his only role at the checkpoint is to stand by. “I just sat in the distance, in the shadows, in the hopes that nothing bad would happen, that I would have to be there because I have the tools and training,” said Cunningham. On the front lines, TPO Jackson thinks it’s working. “It’s less work if we get the bottles before they go out,” said Jackson. 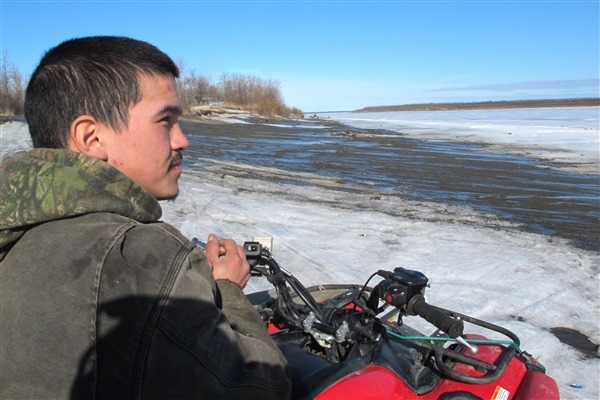 And to keep the bottles from entering his community, Jackson will watch where the Kuskokwim meets his village. Originally published April 24, 2015 by Ken Matheson in KYUK.